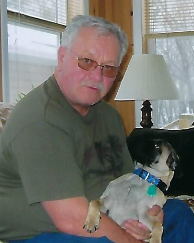 Peacefully on April 11, 2019 at Gimli Community Health Centre, Sam passed away at the age of 74. He was born in Wadena, Saskatchewan and grew up in Ashern, Manitoba. Sam will be lovingly remembered by his wife Dolores of 51 years, sons Calvin (Carmen), Cory (Michelle), and grandchildren Sydney, Katriana, Alec and Mylène. He is also survived by brothers Tom, Ted, Tony (Annette), Ron (Tammy) and sister Irene. He was predeceased by his parents Nick and Queenie, in-laws Les and Sadie, and brother-in-law Clarence. His adult life took him to Winnipeg where he took on a career in truck driving. He worked his early years travelling the backroads of Manitoba for Sherbrook Motors and eventually moved on to Safeway from which he retired in 2003. In his younger days, he participated in baseball, hockey, curling, fishing and hunting. He also enjoyed camping and good times at the cottage with family and friends. After taking up residence in Gimli in 2002, life revolved around outdoor activities. Winter was spent logging miles on his snowmobile. Summer was a balance between golfing, quadding and gardening. Sam will be remembered by the grandchildren for his blueberry pancakes and trips for seashells at the beach. He will be greatly missed by his family and friends, including his trusty pal, Mugzee. The family would like to thank the nursing staff of Gimli Community Health Centre for their exceptional care. A celebration of life will be held on Saturday May 4th, 12:00 noon at New Horizons Centre, Gimli MB. In lieu of flowers, donations may be made to the Gimli Humane Society.